Green Cleaners – All Natural, Environmentally Friendly Dry Cleaning! Prestige Cleaners is all about convenience. Not only do we have an Express Bag Service for quick drop off , we also provide fast service, with an in by 9am, out by 4pm policy. In addition, in our dry cleaning we use green processes, to help safeguard the environment. We also do shoe repair and alterations. 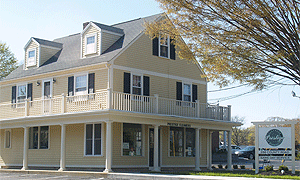 Prestige Cleaners has two locations, one at 286 County Road in Barrington, Rhode Island and the other at 753 Fall River Ave., Unit 3, in Seekonk, Massachusetts. All Natural, Environmentally Friendly Cleaning! Prestige Cleaners is committed to using the most advanced environmental practices and technologies without sacrificing results. Customers can rest assured that we clean all garments with high quality, solutions and soaps that break down naturally in the environment. We use dry cleaning solutions that are environmentally friendly, gentle on clothes and most importantly, effective in cleaning garments. We recycle all of our hangers and plastic bags. Look for the rack/box in the store to return both bags and hangers.